Elegant, sophisticated and glamourous - just what youd expect to see in any celebrity home. 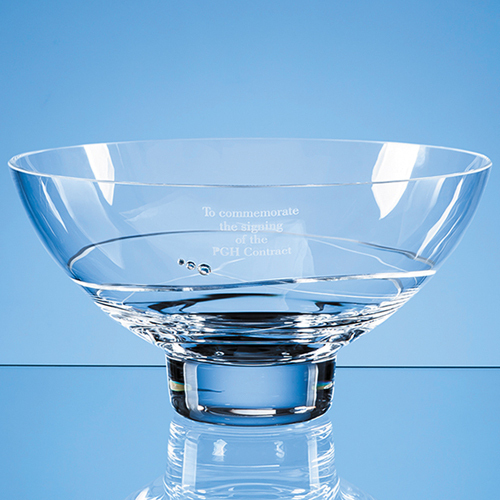 This 24cm oval bowl has a delicate spiral cut design around the body and is sprinkled with 3 sparkling, Swarovski Diamante crystals. With space to engrave an inscription, logo or message it will stun the lucky recipient and is the perfect memento of a special occasion such as a work farewell, engagement, birthday or anniversary. Available as an option is a beautiful presentation box with blue satin lining.